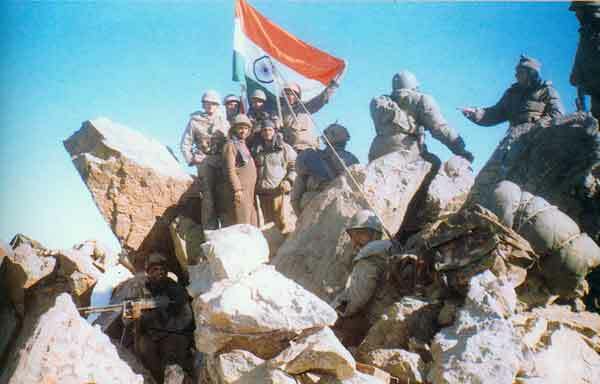 Sixteen years have elapsed since the fateful day, 26 July 1999, when India emerged victorious in the Kargil war. The ignominious designs of a belligerent neighbour (Pakistan) to violate the territorial integrity of the nation were thwarted by a military action that has no parallel in the annals of military history. On the sixteenth anniversary of the war, it would be appropriate to revisit the treachery, duplicity and deceit that went into the planning and execution of the war by Pakistan. 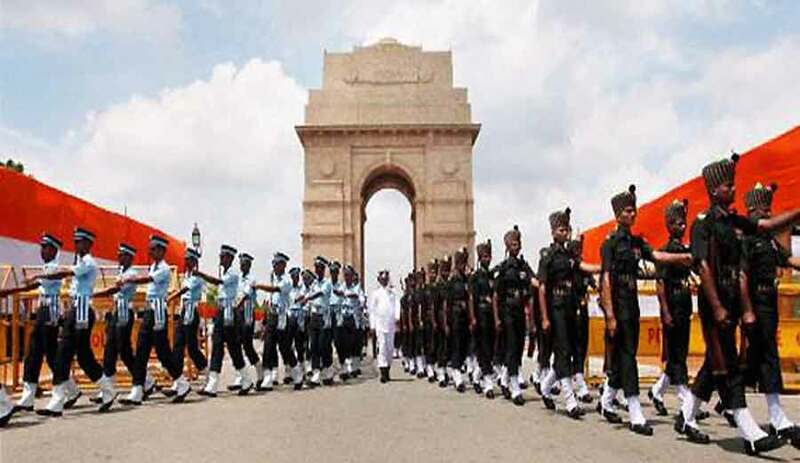 Media reports that the proposal to create the new post of a Permanent Chairman of the Chiefs of Staff Committee (COSC) is at “an advanced stage of planning” now, albeit this has to be ultimately approved by the Union Cabinet since “the issues involved are very complex”. Reminds one of the OROP issue being at an ‘advanced stage’ and the time being taken to arrive at the endemic inter-ministerial wrangling despite the definition of OROP having been accepted by two Parliaments in the past and the Indian Railways, as large as the Indian Army, availing past several years the benefit of future increases after initial fixation of pension automatically passed on to past pensioners so as to bridge the gap between the rate of pension of the current pensioners and the past pensioners, even though the nomenclature of OROP is not used. …the military has been kept away from the strategic planning on matters military. This is why despite hosts of defence scams, no MoD bureaucrat has ever been questioned leave aside prosecuted. 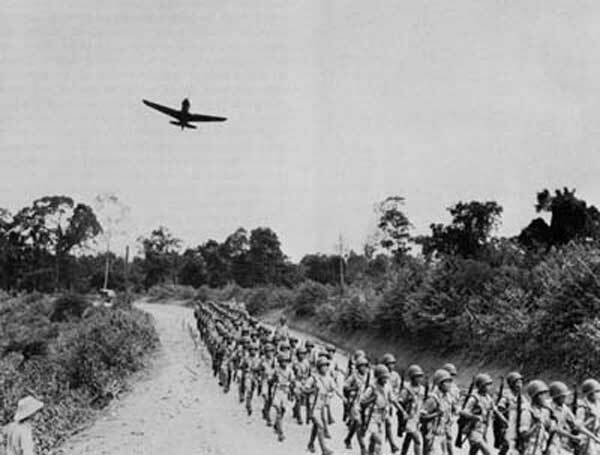 After few sorties by the IAF against East Pakistan on 7 Sept a political embargo was imposed on further attacks in the East. This remained in force despite continued PAF strikes in East on 7 Sept, 10 Sept and 14 Sept. It took 40 years for Air Marshal (Retd) Nur Khan – Chief of the PAF during 1965 war to state the truth about the genesis of 1965 war. “Since the 1965 adventure, Pakistan’s generals have maintained a Standard Operating Procedure (SOP) in public relations about military matters.” According to this virtual SOP, “The Pakistani military wins every war it fights and Pakistan’s generals make no mistakes. Any blame for failure lies either with civilians or the Americans”. July 23, 2015: In mid-2015 Pakistan announced a new defense budget (for the year beginning July 1st) that would be (at $7.8 billion) 11 percent higher than the current budget. Neighboring India spends over $40 billion a year on Defense. But in one area Pakistan surpasses India and that is the degree to which corruption is involved with defense matters. The most unpopular form of corruption is defense related spending that is not even part of the defense budget. A lot of this money disappears into foreign bank accountsand is considered a fringe benefit by senior officers and civilian defense officials. Another major source of corruption is procurement. India is making progress in reducing this form of waste and theft but in Pakistan journalists still risk death going public with details about this sort of thing that is alive and thriving there. In 2013 Pakistan increased its defense budget by 15 percent (to $6.4 billion). There have been similar increases since 2010. While Pakistan has always increased its defense spending every year, to try and keep up with archrival India, it rarely goes up enough to be a real threat to India. These recent record increases are largely due to U.S. aid (over $40 billion since 2002) and economic incentives (allowing Pakistani goods into the U.S. at lower customs duties). Before 2001 Pakistan was really struggling to scrounge up the cash to keep its armed forces going. The increases since 2010 have mostly been due to the war against the Taliban in the tribal territories and the expense of dealing with Islamic terrorism in general. This war was a self-inflicted problem as Pakistan created the Taliban in the early 1990s and had begun sponsoring Islamic terrorists in the late 1970s. Many of these Islamic militant groups turned on Pakistan when American told Pakistan, after September 11, 2001, to either become an ally in the war against Islamic terrorists or be considered an enemy. It was an offer Pakistan could not refuse but there were expensive consequences. Thus Pakistan complains that American aid is not sufficient to pay for what it costs Pakistan to fight the Islamic terrorists it created. The U.S. suggests that Pakistan take responsibility for what it did to foster Islamic terrorism but Pakistan refuses to admit any fault in this matter. July 22, 2015: The Islamic terrorist campaign in the south has been going on since 2004, leaving 6,400 dead and 11,000 wounded. Efforts to negotiate an end to the violence have failed so far because of disagreements among the many factions (separatists, Islamic terrorists, gangsters) making the violence possible. Because there is nothing to show for all the violence but a lot of dead and maimed civilians and an obvious impediment (all the violence) to badly needed economic growth some officials fear the attacks may go national. Local security officials point out that this is unlikely as there are not many active Islamic terrorists causing all the violence and most of these (at least according to those captured and seized documents) justify their actions as “defending their homeland” (the three largely Moslem southern provinces) and depend on some local support to keep at it. Attacks outside the south would be more difficult to carry out as the southerners look and sound differently and would be easier to spot. Moreover the Islamic terrorists would lose even more popular support in the south, where their violence has been increasingly unpopular, even though the Islamic terrorists have tried lately, with some success, to avoid hurting civilians. The continued attacks have made the economic situation worse, despite government efforts to spend more on developing the economy down there. The money is largely wasted as long as the violence persists and the local civilians know it and blame the Islamic terrorists. China feared that casinos in Macau owned by the billionaire gambling magnate and Republican party funder Sheldon Adelson were used by US intelligence agents to entrap and blackmail Chinese officials, according to a “highly confidential” report for the gambling industry. The report, by a private investigator in 2010, said that Beijing believed US-owned establishments in the former Portuguese colony were working in league with theCIA. “Many of the (Chinese) officials we contacted were of the view that US intelligence agencies are very active in Macao and that they have penetrated and utilised the US casinos to support their operations,” it said. Assembly of the first AG-600 amphibious aircraft is on track for completion by the end of 2015 ahead of its maiden flight in the first half of next year. With assembly officially commencing on 17 July, several subsidiaries of the Aviation Industry Corporation of China (AVIC) have also assisted in the construction of the world's largest amphibious aircraft. In late April, the 17.5m long mid/aft fuselage came off the assembly line of the Hanhong Aircraft Company. Developer of the AG-600, the China Aviation Industry General Aircraft Company (CAIGA) describes the aircraft as a fire-fighting and water rescue craft but analysts consider it likely to fulfil a military role too. It is believed the People’s Liberation Army Navy (PLAN) currently does not operate any amphibious aircraft since the decommissioning of its Harbin SH-5 craft. With China embroiled in territorial disputes in the South China Sea as well as with numerous island reclamation projects an amphibious aircraft would offer the PLAN great utility in terms of maritime patrol and territorial enforcement. China is constructing an airstrip on Fiery Cross Reef, but the AG-600 could readily service other islets and facilities where no airstrip is available. Images from Chinese state television show what is said to be the Zubr-class LCAC's debut in an amphibious landing drill. Source: Chinese state television. The People's Liberation Army Navy (PLAN) featured one of its Zubr-class landing craft air cushion (LCAC) for the first time in an amphibious landing exercise, Chinese state television CCTV reported on 20 July. 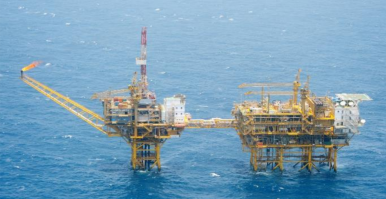 IHS Jane's understands that the drill was conducted on Hainan Island, which is in the South China Sea and the main location for the PLAN's South Sea Fleet bases. While it is not clear whether it was from the same exercise, other CCTV footage shows the LCAC being transported and unloaded from the PLAN's new semi-submersible heavy lift ship Donghaidao (868). Construction of this ship was reported by IHS Jane's in early June and the ship was commissioned into the PLAN's South Sea Fleet on 10 July. The CCTV report described the exercise as testing the PLAN's ability to land an amphibious assault force in collaboration with other parts of the armed forces. Screen grabs from the report show what appears to be a PLA Type 99 main battle tank (MBT) emerging from the LCAC. Army and Nation: The Military and Indian Democracy since Independence by Steven I Wilkinson, Permanent Black in association with Ashoka University, 2015; pp 295, Rs 795. Atul Bhardwaj (atul.beret@gmail.com) is Senior Fellow, Indian Council of Social Science Research, New Delhi and at the Institute of Chinese Studies, Delhi. With the release of Army and Nation, we seem to have come full circle. If the study of the Indian military by Stephen Cohen was funded by Ford Foundation, Steven I Wilkinson’s research is a part of the Yale India Initiative supported by an Indian philanthropic organisation, headed by Nandan Nilekani, co-founder of Infosys Technologies Limited. "The real danger is that the mullahs will put off a breakout attempt in the next decade or so, while creeping out of their obligations." In assessing whether the Joint Comprehensive Plan of Action (JCPOA) signed by the P5+1 world powers and Iran last week is an adequate safeguard against the latter’s pursuit of a nuclear weapon, Obama administration officials and arms control wonks typically discuss two heavily stylized breakout scenarios. LONDON — Now that we Iranians have begun breaking out of our three-decade antagonism with the West, it is time to initiate a long overdue reconciliation at home. 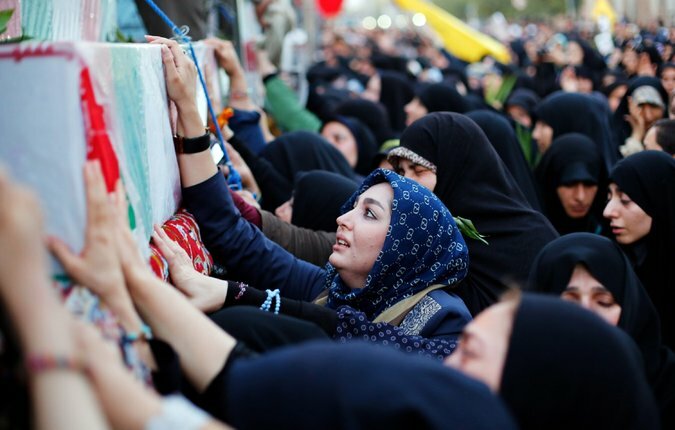 For 35 years now, Iranian people have been categorized as insiders and outsiders by the state. 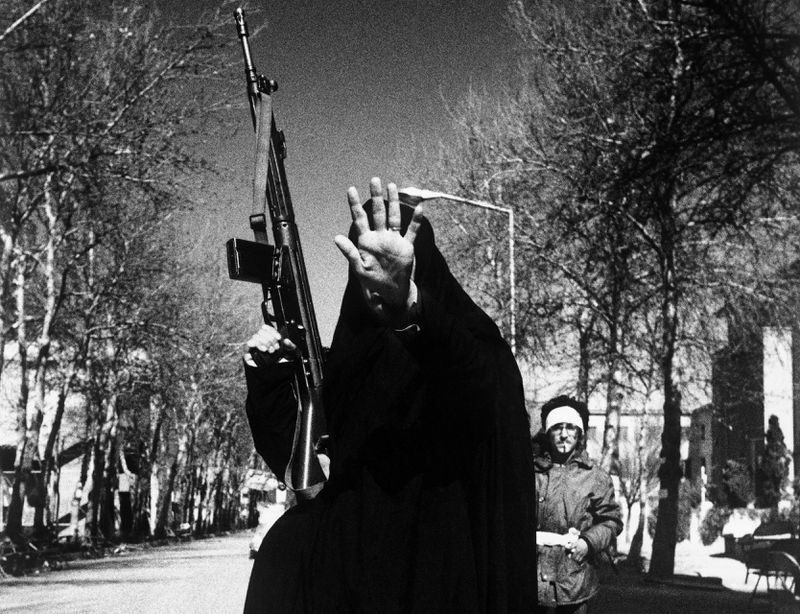 To understand the structure of this division, the key lies in the narrative of the Iran-Iraq war. Last month, even as the nuclear talks between Iran and the negotiators from six foreign powers were grinding toward the agreement, the remains of 175 combat divers killed during the Iran-Iraq war were buried in Iran. They died during a failed offensive in 1986, known as Operation Karbala, to capture Basra in southern Iraq. Their remains, which were returned in May, had been found in a mass grave. Still wearing their diving suits, some of them had their hands tied; the authorities said the men had apparently been buried alive. Photographs of their corpses, bound and suffocated, proved compelling for Iran’s younger generation. They honored the divers on social media and, on June 16, attended the funeral procession through Tehran’s streets in unexpected numbers. Why does Iran even have a nuclear program in the first place? Iran has had a nuclear program since the country restarted it in the 1980s, has been under economic sanctions for it since the 1990s, faced the threat of war over it in the 2000s, and now has come through 20 grueling months of negotiations just to keep part of the program in place. On its face, Iran's nuclear program makes very little strategic sense. Though Iran insists the program is only for peaceful purposes, it's far beyond what's necessary to generate nuclear power. And it's never made sense as an energy investment; other types of energy are more efficient for Iran, and its grid desperately needs upgrading. "No sound strategic energy planning would prioritize nuclear energy in a country like Iran," Iran experts Ali Vaez and Karim Sadjadpour wrote in a Carnegie Endowment report. This is why arms control experts believe that, as Monterey's Jeffrey Lewis put it, the program "could be used to make a bomb, and we think was originally intended to make a bomb." That said, there is an important distinction between developing nuclear weapons capability versus building an actual bomb (more on that later). There are a lot of hoaxes on the internet, but if you see images of a drone that looks like the one above, lying motionless in the middle of the desert, then you can be sure those aren't fake. Pentagon has admitted to BuzzFeed that the pictures of a drone crash that recently started circulating on social media websites are real. Those photos were posted on Twitter by Iraqi journalist Steve Ishak, who told the publication that he got them from a follower who, in turn, got them from local villagers in the country's Samawa province. "We can confirm an MQ-1 crashed on its way to its recovery base in Iraq," military spokesperson Major Genieve David said, adding that the UAV malfunctioned due to "loss of communication." The images themselves corroborate the major's claim, because it doesn't seem like the plane was shot down, and the damage it incurred at least looked consistent with a crash. 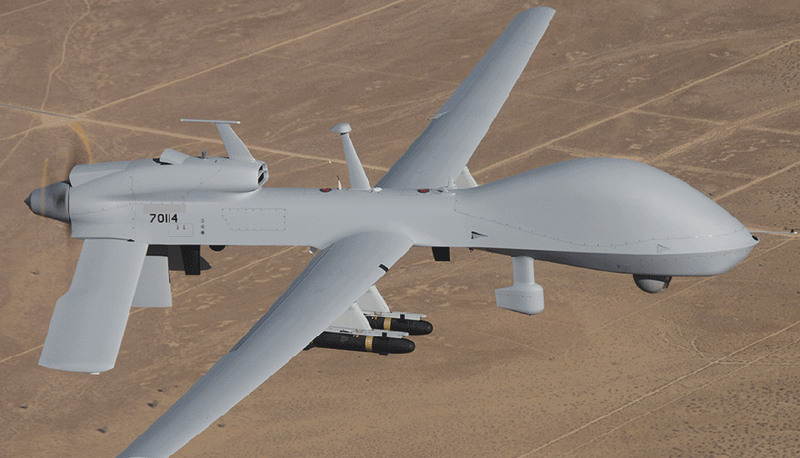 MQ-1 Predator Gray Eagle drones are part of the U.S. Army's Aviation Modernization Plan, cost around $21 million each and can carry payload, including Hellfire missiles, weighing up to 1,075 pounds. David, who didn't elaborate on what the broken drone was used for, said the broken UAV wasn't carrying any weapon. At the moment, Pentagon is working with Iraq to recover the MQ-1's metallic carcass, even though the drone might never fly again. ASPEN, Colorado — The Islamic State group’s effort to inspire troubled Americans to violence has become more of a terror threat to the U.S. than an external attack by al-Qaida, the FBI director said Wednesday. The United States could have prevented the rise of the Islamic State group and the resultant chaos in the Middle East, General Raymond Odierno, the current Chief of Staff of the U.S. Army, said Tuesday. Odierno, who is set to retire as army chief in August, said that it is “frustrating” to watch the growing threat of ISIS in the Middle East, where the U.S. Army once achieved significant gains. In an interview with Fox News, Odierno talked about several topics, ranging from the Iran nuclear deal and the U.S. Army’s plan to cut 40,000 troops owing to a shrinking budget. But he emphasized the growing concerns from the rise of ISIS in Iraq and Syria, suggesting more effective preventive measures should have been taken as the fall of large parts of Iraq to the extremist group was not unavoidable. Odierno expressed his concerns about the deep cuts to the U.S. Army at a time when ISIS is turning out to be a growing threat in the Middle East, even as Russian military movements along its border with Eastern Europe have escalated tensions in the region. Over a decade ago, researcher Gabriel Weimann delivered a troubling report about terrorist activity online. Bad actors were less interested in attacking the Internet or conducting malicious activity than they were in exploiting the medium for everything from raising money to scouting potential targets. A few years later (even as the activities of evil-doers exploiting the internet grew), the world witnessed a second phenomenon exhibiting the growing power of social media. Disputed results for Iran’s 2009 presidential election triggered a wave of public protests in Iran. The mass demonstrations were fueled and organized, in large part, by the use of social networking sites. Is Libya a proxy war? Recent reports of Egyptian military aircraft bombing Islamist militant positions in the eastern Libyan city of Benghazi have highlighted once more how the Mediterranean state has become a contested site of regional proxy wars. The projection of Middle Eastern rivalries onto Libya’s fractured landscape has a long pedigree, dating back to the 2011 revolution and perhaps even further, when Moammar Gaddafi’s propaganda apparatus portrayed the country as a plaything at the mercy of predatory imperialists. During the uprising, the United Arab Emirates and Qatar jostled for influence, with their respective special forces supporting disparate revolutionary factions with intelligence, training and arms. Initially, the choice of actors had less to do with ideological affinity and more with expediency, history and geography. Libyan expatriates residing in each country shaped the channeling of funds and weapons. SHARJAH, United Arab Emirates -- Sunni vs. Shia sectarian tension and violence is raging, and ISIS -- a Sunni terrorist group -- is taking advantage of it. We cannot defeat ISIS unless parties on both sides -- particularly Iran and Saudi Arabia -- stop fueling sectarianism. Shia, Christians, Alawites, Sunnis, Kurds, Sufis and Yazidis are amongst the many sects that have suffered at the hands of the violent jihadi Sunni extremists of al Qaeda and ISIS. ISIS attracts youth to fight in part by claiming an existential threat for Sunnis posed by Alawite and Shia oppressors. ISIS encourages its followers to carry out attacks in their own countries, where ISIS's presence is limited, such as in Saudi Arabia and Kuwait. Along sectarian lines, ISIS (Sunni) recently claimed responsibility for a horrific bombing of a Shia mosque in Kuwait that killed 27 people and injured more than 200. ISIS's strategy seems to be making a major shift from expanding in the failed states of Syria, Iraq, Yemen and Libya to destabilizing members of the anti-ISIS coalition that was formed to counter it. ISIS is betting that there is a degree of support for it within some of the Middle Eastern states taking part in the coalition that it can call on to carry out attacks. Dangerous and short-sighted U.S. diplomacy has empowered no one except state sponsors of terrorism and fascistic regimes. There has never been a better time in history to be an enemy of the United States of America. While America’s traditional allies in Europe and the Middle East express confusion and frustration, Obama’s White House delivers compliments and concessions to some of the most brutal dictatorships in the world. In the span of a single week, the U.S. has restored diplomatic relations with Cuba, pressured Ukraine to accept Vladimir Putin’s butchering of its eastern region, and brokered a deal to liberate Iran from sanctions. 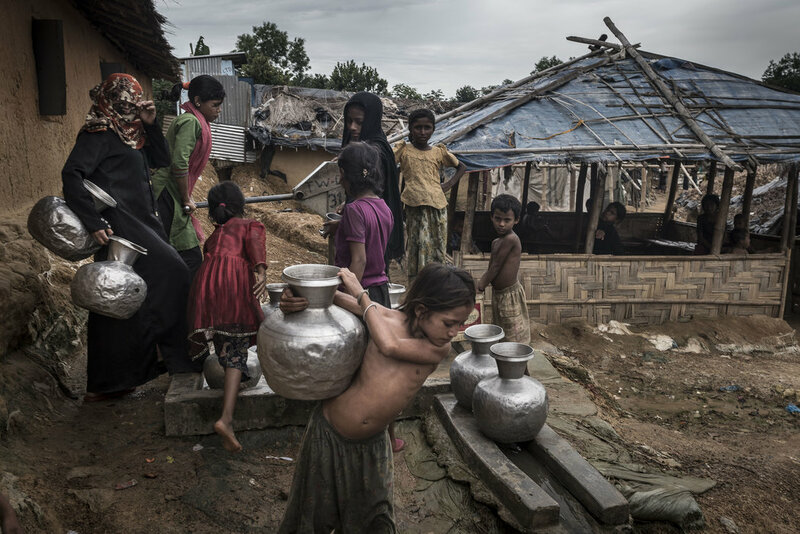 These actions would represent a tremendous series of diplomatic triumphs if they improved human rights in these repressed nations, saved lives in conflict regions, or improved global security. That is, in fact, what the White House says these deals will do, despite copious evidence to the contrary. These negotiations represent willful ignorance of the fundamental nature of the regimes in question, especially those of Iran and Russia. Cuba is a political hotspot in the U.S. and remains a potent symbol of totalitarianism, but despite its regional meddling, especially in Venezuela, it isn’t on the scale of the global threats represented by Iran’s terrorism and nuclear ambitions and Putin’s nuclear-backed expansionism. Regardless of the wishes of the Iranian and Russian people, their leaders have no interest in peace, although they are very interested in never-ending peace negotiations that provide them with cover as they continue to spread violence and hatred. With the U.S. Congress beginning hearings on the nuclear accord with Iran, Israeli opponents of the agreement are readying a full-court press to persuade that the deal has too many loopholes that would allow Iran to build a nuclear weapon. One Israeli think tank at the center of the campaign is the Jerusalem Center for Public Affairs, whose largest donor is U.S. casino magnate and Republican benefactor Sheldon Adelson. Adelson and his wife, Miriam, gave $465,000 to political candidates and parties in 2014 – all to Republicans, according to the Center for Responsive Politics. Recipients in recent years included Republican presidential candidates Sens. Marco Rubio of Florida and Lindsey Graham of South Carolina, and both House Speaker John Boehner of Ohio and Senate Majority Leader Mitch McConnell of Kentucky. One of the enduring questions about Iran’s nuclear program, which could be answered under the nuclear deal reached in Vienna this month, is whether a highly debated 2007 National Intelligence Estimate (NIE) on Tehran’s nuclear program was accurate or off the mark. The controversial NIE concluded that Iran had halted all work on nuclear arms in 2003. The report marked a dramatic and surprising shift by intelligence analysts. Two years earlier, another NIE report said Iran was building enriched uranium-based nuclear arms with help from the covert Pakistani nuclear supplier network headed by A.Q. Khan. That analytic position then became one of the central canons among analysts at CIA and other agencies, which stubbornly continue to insist Iran ended its nuclear program in 2003, despite evidence to the contrary. In Crimea, the honeymoon is over. More than a year after the anschluss, Crimea is about to experience what a real Russian invasion feels like. And this time it won't be "polite people" arriving to lead a virtual liberation of the peninsula from the clutches of mythological Ukrainian fascists. WASHINGTON — Vice Adm. James F. Caldwell Jr., was formally announced Wednesday by the Pentagon to become the next director of the Naval Nuclear Propulsion Program, commonly known as "NR." Caldwell, selected for a fourth star and appointment to the rank of admiral, would succeed Adm. John Richardson as the 7th director of naval reactors. 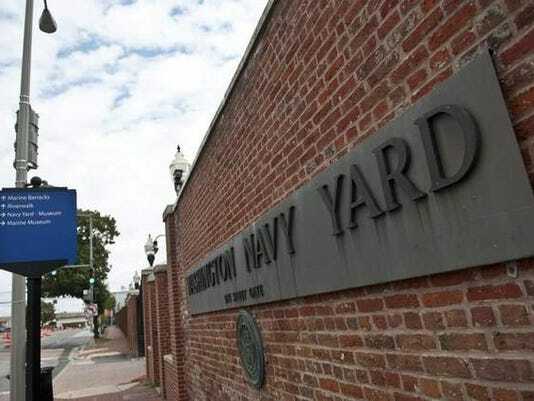 Richardson has been nominated to become the next chief of naval operations (CNO), succeeding retiring Adm. Jon Greenert. Richardson has yet to be confirmed in the new post pending a Senate Armed Services Committee confirmation hearing tentatively scheduled for the first week of August. The NR billet is unique in the Navy, with an eight-year tour of duty. Richardson, who assumed the NR job in November 2012, would become the first admiral to leave before completing a full eight-year term since 1988. Nigerian President Muhammadu Buhari—at war with Boko Haram militants at home—in a July 22 address in Washington lashed out at US laws that ban the sale of weapons to foreign militaries accused of human rights violations saying such restrictions have only aided the insurgency. “Unwittingly, and I dare say unintentionally, the application of the Leahy law amendment by the United States government has aided and abetted the Boko Haram terrorists,” Buhari said in an address at the United States Institute of Peace that was co-hosted by the Atlantic Council. Boeing Co. may have to wait an extra eight months for $3 billion in contracts on its KC-46 tanker because of delays caused by flaws in the refueling plane’s wiring and parts for its fuel system, according to the U.S. Air Force. “Low-rate production” contracts to build the first 19 of the tankers may be delayed from August to as late as April 2016 in the latest of several schedule revisions agreed on by the Air Force and Boeing. In addition, the planned first flight of a fully equipped KC-46 is being delayed to as late of September of this year after missing an April goal. Difficulties with the tanker based on Boeing’s 767 jetliner are affecting the performance of the Chicago-based company. Boeing said on July 17 that it will revise its full-year profit forecast because of a $536 million after-tax charge due to higher costs associated with developing the plane. It’s the second such charge in the past year. Boeing discovered the need for wiring changes while working on the second of four development aircraft as well as encountering delays in “qualifying some of the fuel system parts,” Charles Gulick, an Air Force spokesman, said in an e-mail. Boeing opened a cyber analytics facility in Singapore in July that it hopes will increase collaboration with U.S. partners, said a company executive. The new facility in Singapore, which is the first international facility of its kind for the company, will employ local residents, Beith said. It’s critical “that you can hire and train people locally who understand the culture, who understand the economy, who understand the politics of that particular region because all of those elements are part of understanding the cyber threat problem,” he said. Training locals is not only cost effective but is beneficial to the company because a foreign government is more likely to grant citizens rather than non-citizens access to sensitive information, he added. Whitehall mandarins - the permanent government - are fighting back, with the enthusiastic support of present and former cabinet ministers. The 2000 Freedom of Information Act was introduced by a new Blair government despite opposition from senior civil servants. It will now be watered down, making it even more difficult for the public and the media to discover the truth. From the start, Whitehall managed to introduce a host of exceptions in the act, including the activities of the security and intelligence agencies and anything relating to “national security”, a term I have mentioned before covers a multitude of sins. To cite one example relating to events many decades ago: in a preface to The Defence of the Realm, his official history of MI5, Christopher Andrew says “one significant excision” demanded by Whitehall was “hard to justify”. Germany said Wednesday it was “demanding answers” from the United States over fresh allegations of official US espionage, this time against the German foreign minister. Berlin “confronted” Washington with German media reports based on Wikileaks documents indicating that the National Security Agency (NSA) “systematically” spied on Foreign Minister Frank-Walter Steinmeier, a ministry spokesman said. The spokesman, Martin Schaefer, told reporters that the revelations, “if true”, were “damaging” relations between Germany and the United States. “He confronted him with the accusations and stressed that we expect the necessary clarifications and explanations on this case and all the other cases that remain unresolved,” Schaefer said. The Army has found a new innovative use for an old platform. For years, the Very Small Aperture Terminal (VSAT) has been used to provide a compact and portable Internet and communications connection. Now the Maintenance Troop of the 11th Armored Cavalry Regiment is testing it for field access to the Global Combat Support Systems-Army, the single Army enterprise system for supply, maintenance, property and tactical finance. The latest field test and integration is significant because previous programs associated with GCSS-Army would take much longer to update part deliveries, work orders and maintenance scheduling – sometimes days – while the incorporation of the VSAT provides a faster connection for real-time updates. Applying VSAT to GCSS-Army allows immediate updates, expedites Army maintenance and directly increases the combat readiness level of line units, the Army said. Can big data fight both shooters and hackers? Keeping tabs on workers in contact with the federal government is high priority in an era that is not only post-Edward Snowden, but post-Fort Hood, post-Navy Yard and generally post-general-sense-of-security. The government's struggles to maintain thorough backgrounds of its workers are well-documented, but now officials hope the use of big data will fix many of the problems. After the September 2013 shooting at the Navy Yard, the Defense Department directed the establishment of the DoD Insider Threat Management Analysis Center to try to close some of the gaps that allowed a credentialed military contractor into the Navy Yard facilities – and that also made it possible for other security breaches by cleared personnel. Part of that reconciliation will hinge on the use of continuous evaluation, an IT-powered version of the background checks regularly performed on military personnel. A pilot program employing continuous evaluation currently monitors roughly 250,000 personnel and will scale to 500,000 by the end of the year, according to Carrie Wibben, director of the security policy operations directorate in DoD's Office of the Under Secretary of Defense (Intelligence). In April, thought leaders from the Defense Department, theU.S. Army Research Lab, the Institute for Defense Analysis, and national security thinkers across academia met for a two-work workshop on the next three and a half decades of war. The report they recently produced reads like a Tolkien-esque saga set in the future, a fascinating mashup of futuristic concepts, far-off capabilities, and emergent technologies that play off one another, competing and evolving at hyperspeed. Among the report’s most significant conclusions: faster “battle rhythm” will increasingly push human beings out of the decision-making loop. The future of war belongs to the bots. The first battle in human history of which we have a tactical account is the Battle of Kadesh, which took place in 1274 B.C.E., near the modern Syrian–Lebanese border. It pitted the ancient Egyptians under Ramesses II against the Hittites under Muwatalli II and may have been the largest chariot battle of all time. Afterwards, both sides plausibly claimed victory. However, it might have come out quite differently. Ramesses’ intelligence staff (for lack of a better term) did not do its work and as a result the pharaoh almost led his army into an ambush. The Battle of Kadesh has a certain grim resonance today because the Egyptians were saved from disaster only because they abused two Hittite prisoners. We know of this battle from several sources, both Egyptian and Hittite. Today, however, we will focus on the Egyptian ones, available in translation on the internet. The Egyptian accounts include two inscriptions: a relatively short piece known as “The Bulletin” (and elsewhere called “The Official Record”), much of which is about the run up to the battle, and a longer “Poem of Pentaur” which gives an extended account of the battle. There are also images of the battle carved in Egyptian temples that add important details to the story.